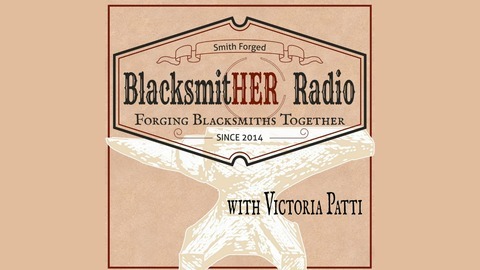 BlacksmitHER Radio spotlights blacksmiths around the globe. A kick a** show about kick a** women and men using fire as a tool. 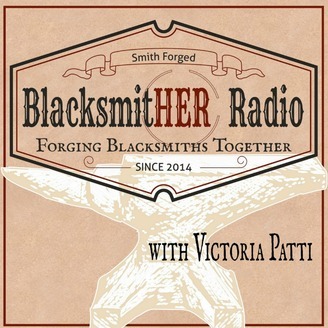 We're building resources and connections for the growing number of blacksmiths. Hello welcome to episode 127 I am continuing my series of 12 podcast interviews (one a month) focusing on Design Process, Forging Process and Tool Making. Today I have Maegan Crowley from Colorado, she started her metal business in 2006 after attaining her Master of Fine Art from Cranbrook Academy. I’d also like to thank today’s sponsor, Even Heat, they manufacture the finest heat treat ovens available, Even Heat Kiln was founded in 1948 and has steadily grown to become a major kiln manufacturer. Find your next heat treat oven at evenheat-kiln.com.